Normally, whenever my cats disappear under my bed much annoyance ensues. 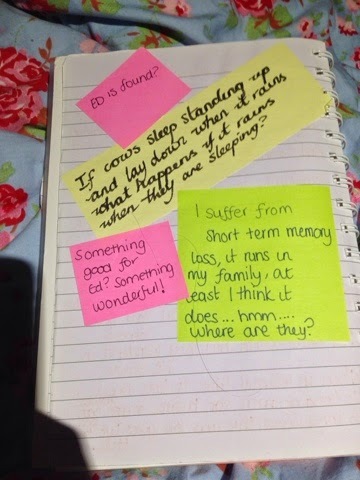 Last night however, climbing under to retrieve them I discovered they had knocked over a box containing university notes and right at the top was my writing journal. During my degree I studied creative writing which involved keeping a writing journal. Mostly at this time I write quotes that I liked, either because they were meaningful or entertaining. 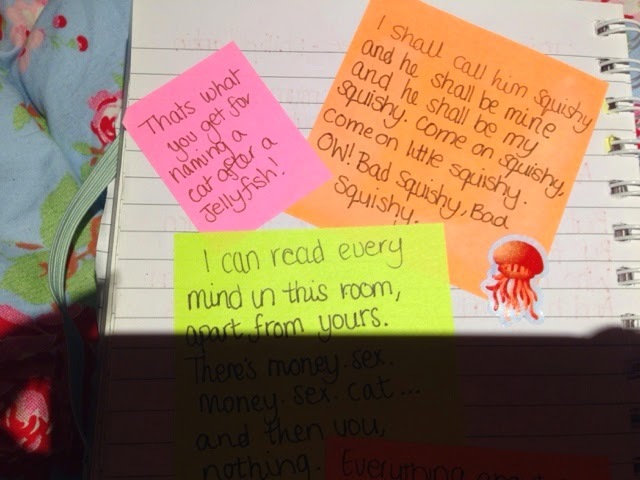 Some pages are decorated with stickers, whilst most are just decorated with a variety of sticky notes. 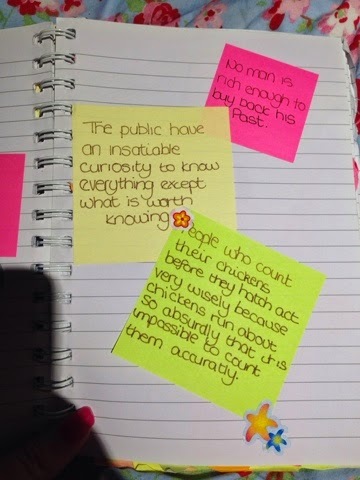 It was quite amusing flicking through and seeing those things that inspired me whilst I was doing my studying. 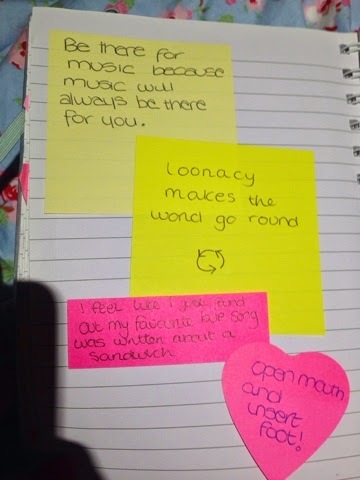 Whilst there are a lot of silly and fun quotes, there were some soppy ones too. I decided not to picture those, as st that time it would appear I was a bit of a miserable cow. It was quite fun looking back through my journal, and I think I'll certainly be starting one again. Ooh I love ur quotes. You shld deffo start a journal if u want to.